Before I talk some more about the lay system we are developing I just want to update on the Mystery Horse Bot. We've had a lot of people ask about it since it had a losing run that ran into the beginning of August. However in the second half of August it made 50 points profit to move ahead from the starting point. The ups and downs of profit trends is what knocks out a lot of would be successful gamblers, but almost any method will have drawdowns and at the beginning they are likely to drop down below your starting point. The position now since we first opened up places on the bot is + 47.13 points. If you havent tried the bot before you can still trial it for a month at £20. We've had a few comments and emails now about the huge prices of the debutants that we are laying, so I just want to clarify how I intend to use these. I have layed all the selections since Friday at Betfair SP. With Betfair SP you make your selection and then enter how much money you are prepared to risk. This then is your maximum loss on that runner, and if you lay multiple runners in a race at the same liability then that is the maximum liability on the race. So there is no need to have a large bank to try this out. The minimum liability allowed by Betfair is £10, so that is your risk on the race whether the selection starts at 3.00 or 300.0. Of course the returns betting this way reflect the liability, but it does allow us to lay big priced horses and build our bank gradually. 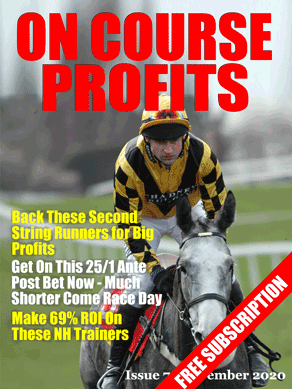 So far the profit from laying the selections to the minimum liability over the last 3 days is £6.34 after commission. Of course if this profits over the long term then I will be happy to risk much higher liability and the profits will be more worthwhile.